Sausage and mushroom penne in a rose sauce. Most of the dinners I put together are just something that I throw together without a recipe or that I make only a couple times with a recipe that I find from the internet but there are a few recipes that I make regularly. As with all recipes these are just a quideline, feel free to change them, I often do. BBQ pork tenderloin with Rice Pilaf and steamed asparagus. If there is excess pork then I usually use that to create either salad rolls or grilled pork with spring rolls on rice vermicelli. Chili was the first dish that I ever made. My mother taught me how to do this because it was my favourite and I have modified it slightly over the years. 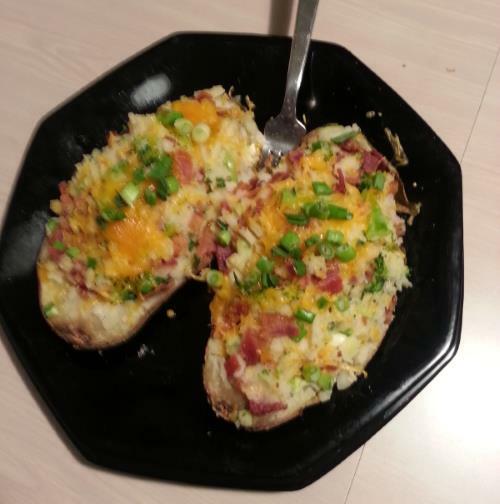 Here are some pictures of some of the dishes that I have created but I haven't posted a recipe yet. 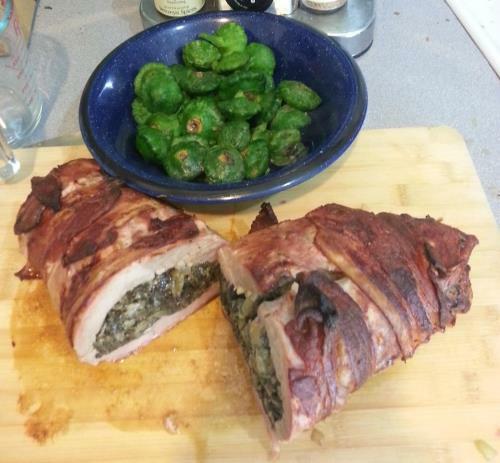 Pork tenderloin pounded flat and stuffed (this time with spinach, blue cheese and onion, another time with mushrooms, bread crumbs, and mustard), then wrapped in bacon. Served with steamed baby squash. 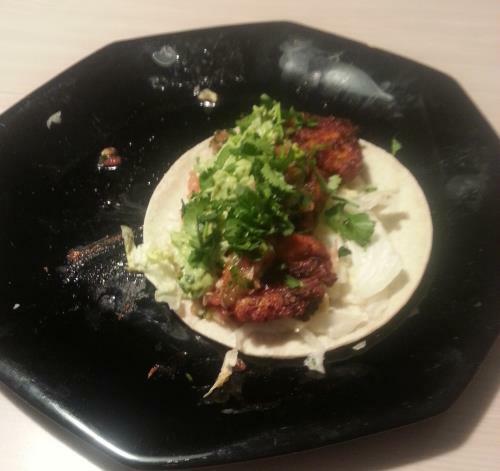 Fish rubbed in cajun spices and fried, served on a taco with avocado crema and pico de gallo. 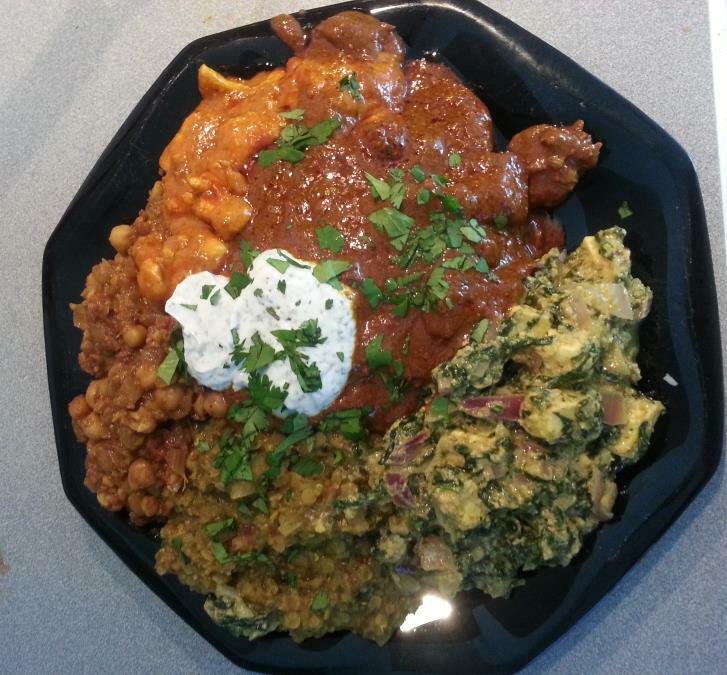 In picture: Channa Masala, Butter Chicken, Beef Masala, Palak Paneer, Daal, Raita. 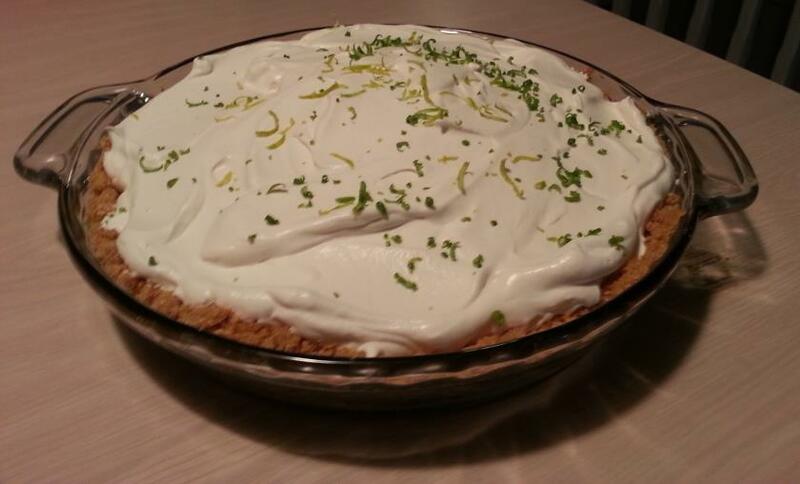 Tarts with a key lime pie filling topped with candied lime zest. 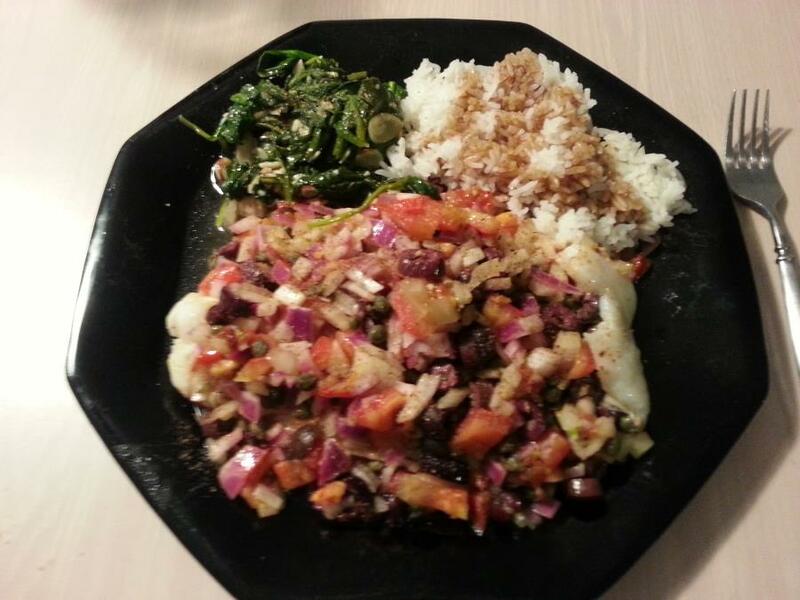 Fish baked with tomatoes, olives, capers, onion, lemon. Served with spinach and rice.